Hello! If you are here, you may be looking for a Messianic fellowship in the Boise area of southwestern Idaho. 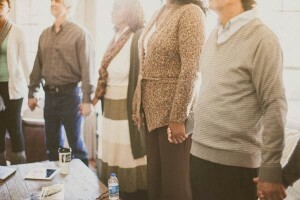 We are a growing, vibrant, and passionate community who loves each other and the Lord. We see the beauty of His Torah and calendar, in applying them to our lives, and we highly value learning more about God and drawing close to him through study and worship. We've grown a lot since we began meeting just after Sukkot 5776 (Oct. 2015). We now meet in Meridian in the building of Grace Foursquare on Franklin Rd. between Eagle & Locust Grove. For more information about what to expect in a service, please click here: Shabbat Service. Our services incorporate Spirit-led worship, liturgy, Torah Midrash, and a message. An engaging Torah study starts at 9:30am, and we eat lunch together on a weekly basis. For the current week's Scripture portion, please check here: Torah Portions. You are welcome to join us for any part of our Shabbat day! We were both raised in faith-filled homes and felt a calling to ministry at a young age. Shortly after getting married in 2004, we began attending a Messianic Foursquare congregation in the Seattle area. We grew there and formed a foundation for our family until the Lord moved us here to Idaho in 2012 to be closer to Mark's family. Shortly after settling here in Idaho, we felt HaShem tell us that we were going to form a healthy, vibrant Messianic congregation, but it wasn't quite time yet. On Rosh Hashanah in 2015, the Lord told us that it was time to put hands and feet to our calling. That next Shabbat we began Kehilat Yeshua with two other couples meeting in our home and have been meeting together ever since! Mark has his ministerial credentials through the Foursquare denomination and we are members of the MJAA (Messianic Jewish Alliance of America). Mark and Judy have been married for 14 years and have 5 children. Kehilat Yeshua is a family-centered community. As parents of five kids, we know how important it is to teach our children the truth of God's Word, and we believe in the value of modeling worship and study to our children. During our service, families are encouraged to worship together with their children, though we also offer a nursery for those who would like to use it for their younger kids (4 and under). During Torah study, we offer a "Shabbat School" class time, incorporating Bible stories and Hebrew lessons to ages preschool-6th grade. We also have a B'nei Mitzvah program for our children who are transitioning to young adulthood. It is our desire to serve families and help parents reach their children with the love of HaShem, Torah, and community! To build a thriving Messianic Jewish community in the Treasure Valley that supports, encourages, and strengthens each other, and serves as a light for Messianic Judaism in the Treasure Valley and beyond. 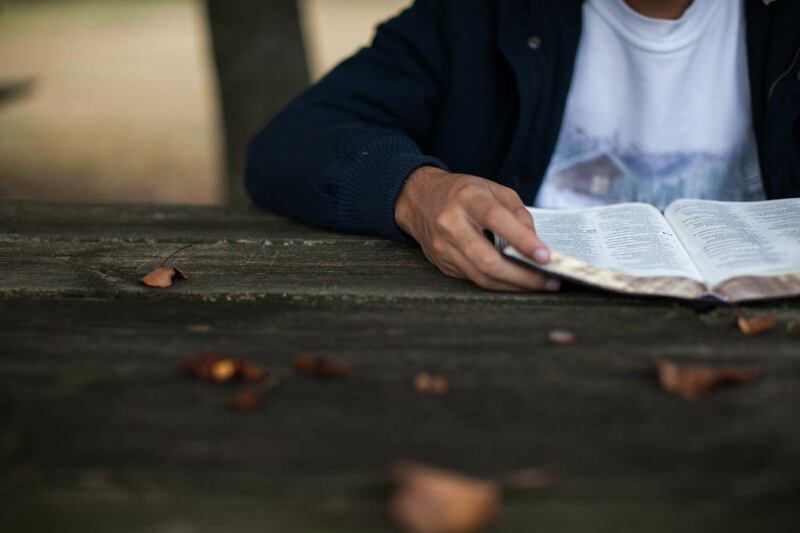 Seeking after God with prayer, worship, and by studying His Word. Honoring God by keeping His Torah, including the Sabbath and holy days. Building a community of authentic relationships rooted in love, dedicated to growing closer to God and one another. Reaching out to the world around us with the love of God. Standing in solidarity with the Jewish people, rejecting replacement theology, as a community of Jews and Gentiles. What Does “Kehilat Yeshua” Mean? Kehilat Yeshua (keh-hee-laht yeh-shoo-ah) is the name of our congregation and it means "Community of Yeshua (Jesus' original name in Hebrew)". A Kehilah is a community, a group of people who have come together with shared purpose and in fellowship. We believe in one God as he has revealed himself in Scripture. "Hear, O Israel, the Lord our God, the Lord is One." (Deuteronomy 6:4) We believe that He is a personal God who has not only created us and the world, but desires relationship with us and has placed himself into the created world in the form of his Son and his Spirit. We believe that Yeshua is the Son of God, the promised Messiah of Israel, the Eternal One in whom all the fullness of deity dwells in bodily form, and who is the Word who became flesh and dwelt among us. (John 1:1-14; Colossians 2:9) We believe he came first as the suffering servant to make atonement (covering) for sin and that he will return again to reign as King in the Messianic Era.